Hi crafty friends. 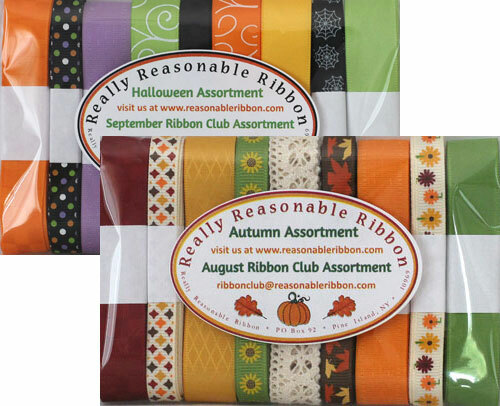 Today I’m swinging in with a fun autumn themed card to share that features some pretty ribbon from Really Reasonable Ribbon. My card today features two of the ribbons from the August Ribbon Club Assortment. If you aren’t already a member, no worries – you can still get this great assortment! This is also a perfect way to use up those precious ribbon scraps that you don’t want to part with. I just dove tailed the end of two 5-1/2″ pieces of each color of ribbon and even spaced them over the background Distress Ink paper I created. I then added the leaf squares on top of the ribbon. Did you hear that Cheery Lynn Designs is now My Maker’s Movement? They are still stocking some favorites from the Cheery Lynn offerings and they are also offering a fabulous new line of stamp and die sets. Head on over and take a look! I get lots of questions about the ‘fuzzy layer’ that I use on a lot of my cards. So very gorgeous and those leaves are perfect. Adding the ribbons around the layout looks amazing too. This is a wonderfully designed Autumn beauty! Thanks so much for the sweet comment Verna. You’re my number one cheerleader and I so appreciate it. I’m so glad you liked the card. Have a wonderful weekend! The coloring of the leaves is perfect. Will you show us how you made them, please? I’m so glad you like the card Charlotte. While it’s not exactly what I did, I do have a couple of videos up on my YouTube channel about how I use Distress and Distress Oxide Inks – the videos show monochromatic papers, but it’s the same just using more colors. You can view them on my channel here: https://www.youtube.com/user/reasonableribbon/videos For the leaves, I started with a base of Distress Inks (which are brighter) and then added some Distress Oxide ink on top as they have a matte finish. I then finished it off with Distress Micro Glaze to bring back a little shine. It’s not an exact science. Sometimes I love the paper I create and sometimes it goes in the garbage. You just have to experiment and see what you like. Happy crafting!! This is so gorgeous!!! 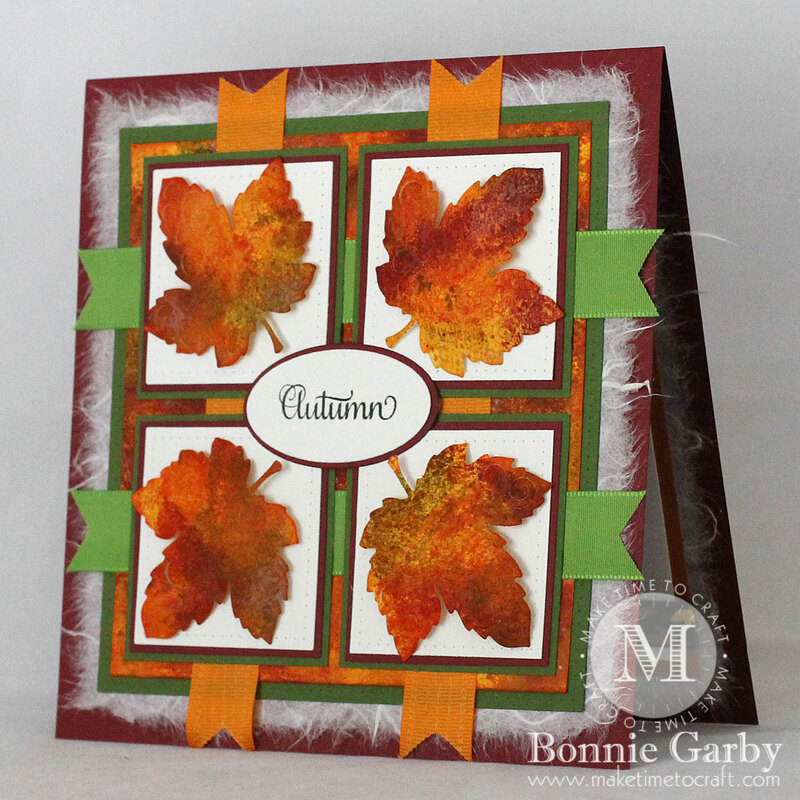 It is a perfect way to use up fabulous ribbon scraps and those leaves are awesome! They look almost like real, pressed leaves! Thanks for playing with Jo’s Scrap Shack. Your autumn leaves are utterly fantastic. The blended colors really pop. And I love the papers and ribbons. Thanks for dropping by 613 Avenue Create. Love your work! Thanks for joining us at Artistic Inspirations Challenge Blog. Good luck! 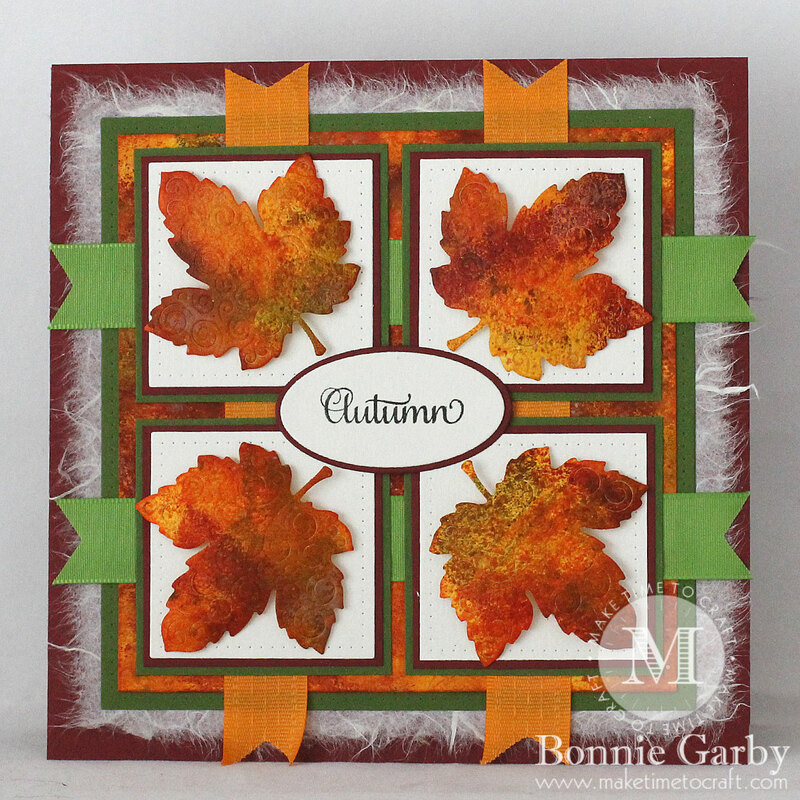 Beautiful autumn card and great use of the ribbons. Thank you so much for entering our ATG challenge at Through The Craft Room Door this week. Looking forward to see you again next challenge. 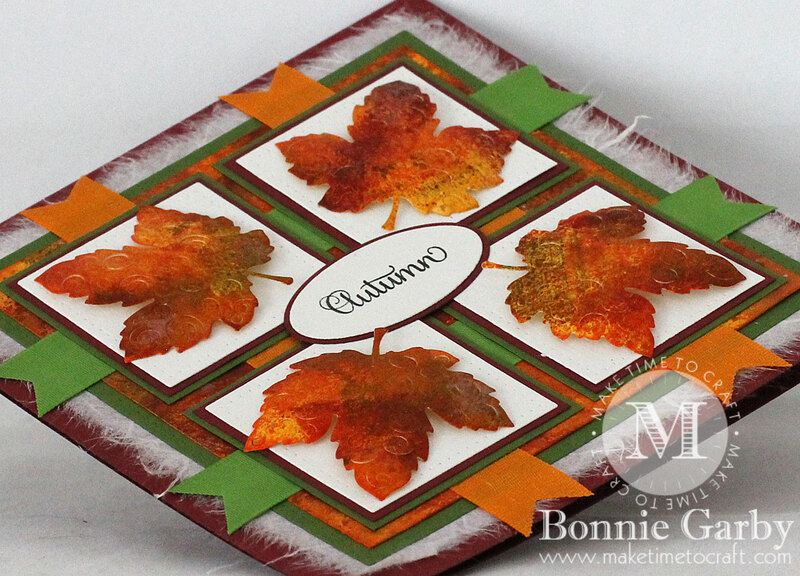 Fabulous card!Totally love the leaves!Thank you for sharing with us at the Crafty Gals Corner!Hope you join us again soon! Congratulations you are one of this week’s Top Rockers at 613 Avenue Create – don’t forget to pick up your badge from the Top Rocker page. Thanks so much for letting me know Sheryl. How exciting! !